Magicians are quite good at making things out of thin air, especially money! But, we all know the truth behind. That said, scientists from MIT and University of California have made squeezing water from the air around us possible. 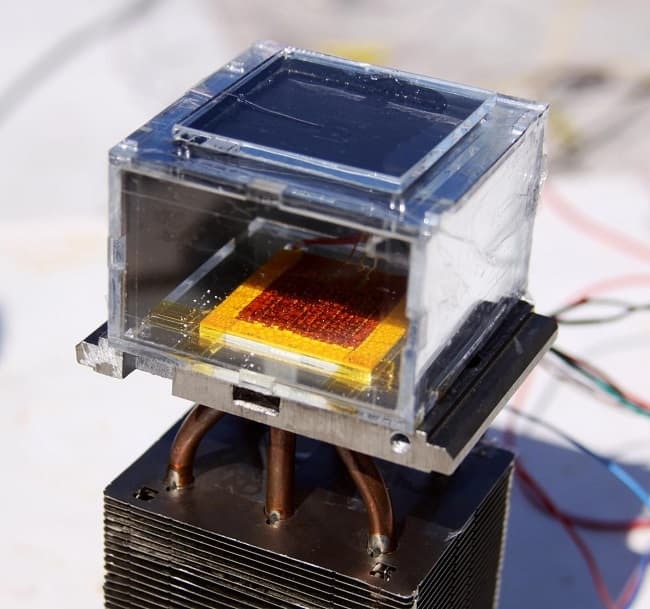 Credit goes to a newly developed sponge-like device which uses just sunlight to absorb water vapors from the atmosphere. 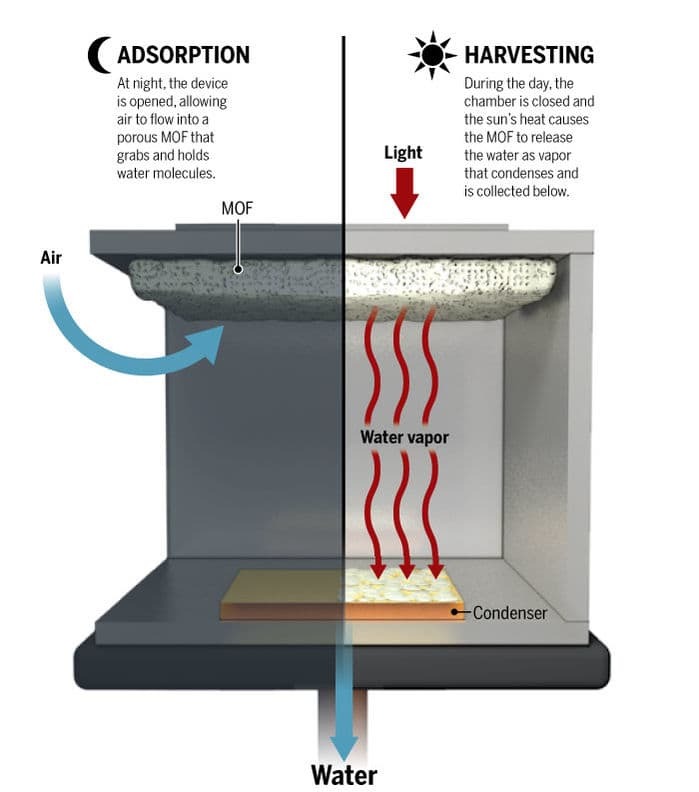 Even the first-phase prototype performs amazingly well- being able to extract 3 liters of water over a period of 12 hours in conditions as harsh as the Sahara Desert. Such development can bring relief to millions of people living in drier parts of the world who struggle daily just to accumulate enough water to drink. This is a major breakthrough in water harvesting technology, as most of the other available methods are either power hungry (like water dehumidifier) or not this efficient (fine fog-nets). The research was led by Omar Yaghi, a chemist at the University of California, Berkeley, who has an experience of more than 20 years working with a family of crystalline powder called metal organic frameworks (MOFs). There are more than 20,000 MOFs exceling at molecular-grabbing properties. And in 2014, Yaghi and his team synthesized MOF-801 having strong affinity for water molecules even under low-humidity conditions. With a vision in mind, he turned to Evelyn Wang, a mechanical engineer at MIT in Cambridge and that’s how this project started. There are around 13 trillion liters of water present in our atmosphere at any given time i.e. around 10% of our fresh water reserves. Referring to this data, Omar told about his vision of off-grid water. Everyone having their own device at home powered by solar energy to meet daily water requirements. He calls it personalized water. The technology is still in its initial days of development and as the time passes it will grow even more efficient. Remember the case of li-ion batteries. In just 5 years the mileage of an average electric car has increased 3 folds! Let’s hope for a similar track for this device too.